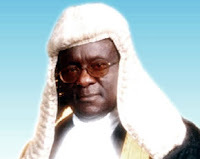 The Gani Fawehinmi Scholarship Board announces Four Million Naira Scholarship for Forty Nigerian Students in Nigeria tertiary institution. Applicants are invited for the 2012 Chief Gani Fawehinmi Annual Scholarship for Nigerians Awards. This year’s award is for 20 students each of whom will receive One hundred Thousand Naira (N100,000) for their education. How Many Funding Positions are available? c/o Dr. Clement Chup, Chairman, ASUU university of Abuja, ASUU, Secretariat, University of Abuja mini campus, Gwagwalada.